Erin had been practicing yoga at various studios and on her own for about 15 years and one day came into The Hot Room because the day and time was right for her. From the moment she walked in, she felt welcomed and affirmed. Erin decided to commit to 30 days of yoga and see how she could fit into this community and what the yoga could do for her. 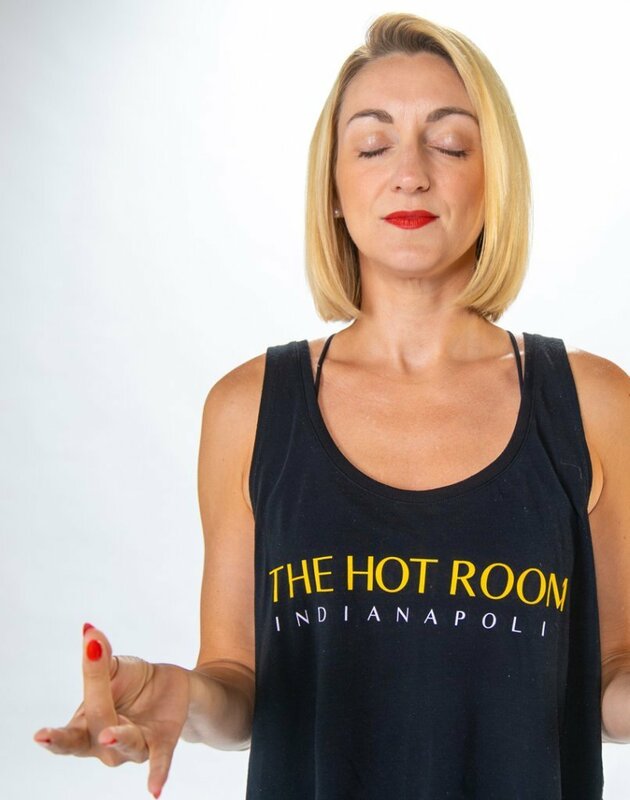 More than 500 classes later and a certification in Hot Power Vinyasa, Erin continually strives to make The Hot Room accessible to anyone she meets. Natarajasana (Dancer Pose) is my favorite pose in Hot Power Vinyasa because it is a moment of balance in a very vigorous practice. It brings an element of grace to my practice and I love to find stillness in it as I balance and focus. Popcorn! How do you stop eating popcorn? What to you do outside of The Hot Room? I have a passion for social justice and being an active member of my community working for change. I also love music and spend a lot of time making playlists, discovering new music and traveling to shows.